What would you make with it?!? To win, leave a comment on this post telling me what you'd like to make out of any of the lovely things at Fat Quarter Shop! You must be a follower of this blog (with whatever follow tool you please) to win. And I MUST have your email or some way to contact you if you win!!!!!! Giveaway ends Saturday, March 24th and I'll announce the winner Sunday. Good luck! AWESOME GIVEAWAY!I have a pattern for a maxi dress, I think i would have to use that fabric for it! I'd love this since I'm just learning to quilt and am trying to pull together a variety of fabric to use. i'd like to make a purse out of that purple and blue flower circle fabric! Now what i will do with the fabric? A tea party set!, Tea pot warmer, Table cover, Pieced napkins, place mats, tea tray cover. I love it! I would love to make a few pillows or small blanket and a skirt for me! I don't have a lot of skirts, so possibly that, and/or a tote bag. Maybe a little shirt too. These fabrics are great! I would use the fabric to make a new springtime dress. I would love to make some skirts or a dress with the fabric. Beautiful prints! I'm still a novice at sewing, but would love to make a dress out of any of these fabrics. Gorgeous! I would love to make a spring skirt or two with that fabric! i love these prints! i would use them to make some sweet bibs and embellish some burp cloths for my baby-to-be! oh wow!! is SOOOO want to win this!! i would grab 1/2 yard of the free spirit get it together chartruse bears and make my little man some pj pants! i love the art gallery prints. they would make a very pretty quilt for a funky boho room! i love the ikat print by amy butler, it would make a cute spring dress!!! gorgeous! i would probably make a quilt, or some baby stuff for friends! 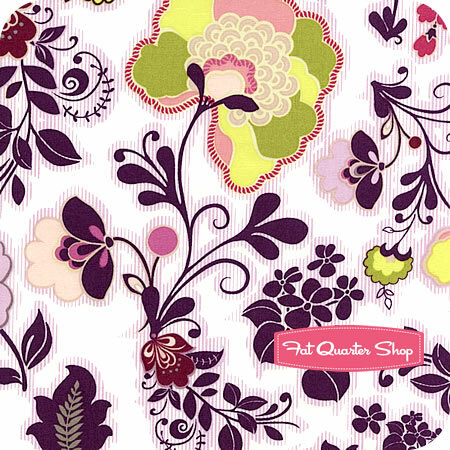 I liked both Adventures in Dressmaking and The Fat Quarter shop on Facebook. I would probably make an anthropologie inspried skirt with one of the pretty prints. Beautiful fabrics! I'm still learning to sew but I'd love to make a simple skirt, 1950s style out of one of these fabrics. I would use it to make a pretty summer dress! Oooh, I see a beautiful spring dress! I'd make a lovely skirt! I'd make pillows for my couch in Lotta Jansdotter's Echo prints. 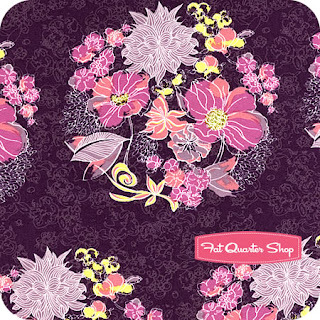 I like Fat Quarter Shop on FB. Thanks for the giveaway! I'd make a quilt from just about anything from the FQS! I also follow FQS on Twitter. I have a very large and empty wall in my living room, it definitely needs a quilt. 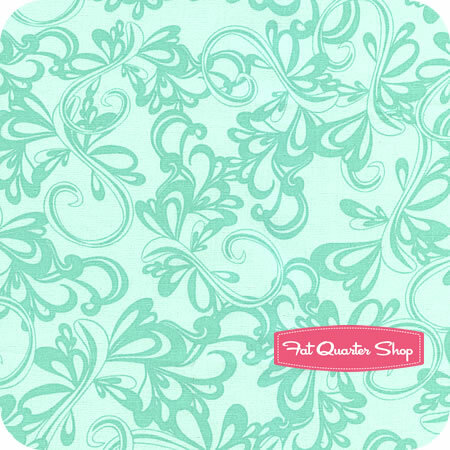 The soft turquoise and teh pink quarters from the shop would work perfectly with my furniture and the wall... it would be my first non-scrappy quilt as well because it has to turn out perfect. oh what would I make? maybe a new purse. i like adventures in dressmaking on facebook! I would want to try out some quilting with the fabric!! I love the Mint Love Notes print! I'd make a dress, of course! I liked you on fb and you're on my blogger reading list and blogroll on my blog- does that count as following? I hope so, because these fabrics are beautiful! I really like the Aqua Sweet Melody print! I would either make a fun spring dress or skirt. I like Adventures on Facebook. I not much of a quilter, but my mom is! She's currently finishing up my wedding quilt and starting on a baby quilt, so I think she would use something from the shop in one of those quilts! I think this fabric would make a lovely quilt! Or bag, or wallet, or really anything - it's gorgeous! I also like FQ shop on Facebook! I just started quilting, and I'm sure that these lovely things would only help to fuel my quilting fire. I'd probably make a circle skirt of a fuller-skirted dress. Those patterns on the fabric are lovely! I would probably make a new dress or top as i love to sew clothes. I have the perfect vintage pattern for the gray rhythmic print!! I like (love) you on FB! I'm a garment sewer, not a quilter. But my mom's an avid quilter and has me working on two quilts right now. The Poetica Citron Love Notes would make part of a very cute quilt for my bedroom. I like Fat Quarter on FB. I'm working on a sampler quilt, so some of the fabric would go toward making some super cute quilt blocks. I'd also make clothes for my little girls. I'm a fan on facebook as well! Like fat quarter shop on facebook. Like adventures in dressmaking on facebook. As a brand new quilter I would make some quilt blocks, and the purple one would make a great handbag! Thank you for the opportunity. 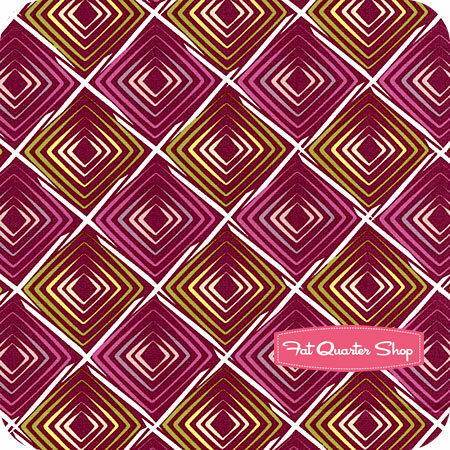 I follow the Fat Quarter Shop on Twitter! I want to make a quilt for my baby really bad but don't have the funds right now. I really hope I win! I love Fat Quarter Shop! I would make some clothes for my two girls! I like Fat Quarter Shop on FB! It looks amazing, great colours! I've liked you on facebook as well. I love to quilt so that's what I would want to make. Love the Poetica line! A dress, definitively. I love those prints and ot would make the cutest summer frock. I also followed you on twitter. I have been wanting to make an apron for myself with mixy-matchy prints. I think these would be perfect. Thanks so much! 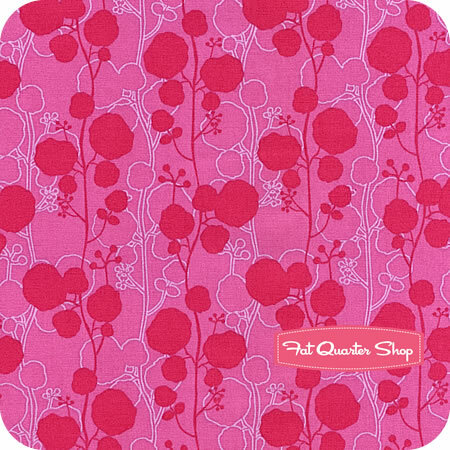 I also followed fat quarter shop on twitter. The fabric is just so pretty. I need more shirts, so I would make some shirts. Thanks for the giveaway! I think I would make a bag or a little skirt, depending on my mood at the moment! I can think of sew many things to make with 3yds! I'd love a new top, maybe some to be used in a new clutch, and some in a quilt... with enough left over to make a new book cover! O wow, these are so pretty! I would love to make a skirt or dress out of those fabrics! Ooooh! A little patchwork-y clutch could happen, or use some as a base for a new throw quilt. Pretty! Probably a quilt or tote with all this loveliness! I liked fat quarter shop on facebook! I would probably make a purse or pillows. My daughter wants new curtains. I liked you and Fat Quarter on facebook! Thanks. So pretty! I'd make a tote for me and a skirt for my daughter. I would use the rest for applique work. Thanks for the giveaway! Beautiful fabric! I just moved into a new place. I would use the fabric to create big beautiful cushions. I'd make some lovely little zippered pouches for friends, and maybe some quilted pillows for me! The friend I consider the big sister I never had is expecting her first child this summer. I'm thinking some of the prettiest baby clothes ever. I would love to make a baby blanket for our new baby due in September. I'd love to make a purse (or a quilt) - thanks! I love this line! I like FQS on FB! I like you on FB too! Thanks for the chance! i just had a baby, and have been making tons of kid clothes...i would love to use some of these fabrics!!! 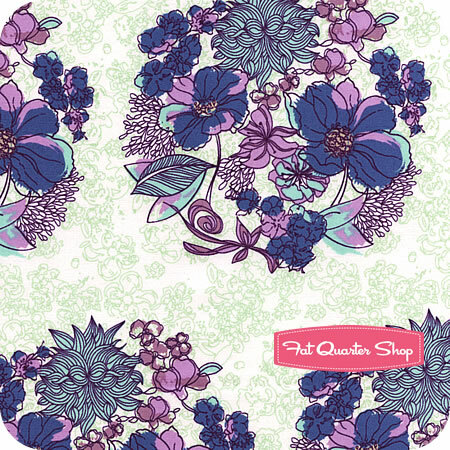 I'd love to use this fabric to make a spring or summer dress. 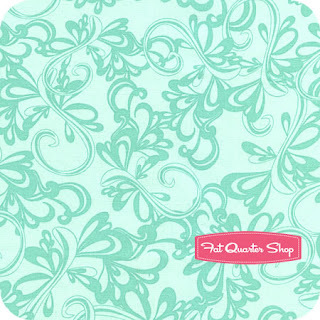 I liked Fat Quarter on FB! I'd make some pillows, curtains or maybe an apron. Such great fabric! I love Cayman Bay Batiks - what a beautiful bundle!! Thanks for the chance! I like FQS on FB!! I follow FQS on Twitter!! I've been waiting for the new Tradewinds charm pack to come out so I can make a quilt for my bed. But they have so many cute fabrics that I would love to make a light, thin summer dress out of! I "like" Fat Quarter Shop on Facebook! I've been looking for some special fabric to make a first birthday dress for my baby girl. A few of these prints would be perfect! 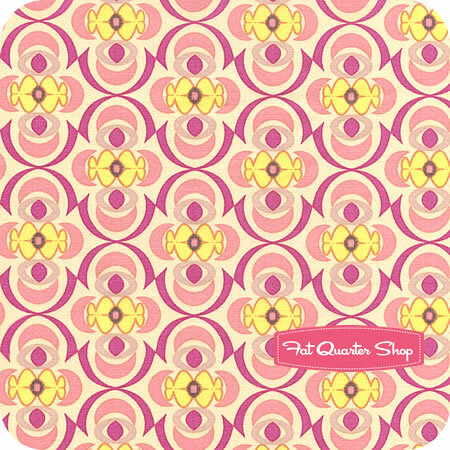 I like Fat Quarter Shop on Facebook. I'd use any of the Papillion butterfly prints to make pillows for our living room, and possibly the bed. I got some gorgeous butterfly/dragonfly prints from my parents for my birthday, and I'd love to bring that theme around our house! I have a great vintage pattern I bought on ebay with a full skirt that would look awesome in any of those fabrics! I would love to make a fabulous spring skirt! I would love to make a quilt. Thanks. I follow them on twitter too. Oh dear, everything is so lovely! I'm just a beginner sewer, but I think I'd like to tackle some sort of fitted dress with prints this pretty! I would make cuffed pants for my son. hair bows, hair bows, hair bows - and skirts. I would probably make a top... or maybe a skirt. And then, with the left-over bits, I would do some piecing. Yeah.... or maybe a tote. Beautiful fabrics! I did the liking of the fat quarter shop on fb! I follow both fat quarter and adventures in dressmaking on FB and I receive Adventures in Dressmaking newsletter : ) I totally need a new skirt in a bad way and these fabrics would be great for that. My hope is there would be some left over and I could make my 2 year old little girl a matching one. I like FQS on FB. I like Adventures in Dressmaking on FB. I'd probably use it in a quilt... I'm kinda obsessed with them lately! Beautiful fabrics! I would love to make a spring dress with a maxi skirt with the Grey Rhythmic yardage. I love the soft grey colour. I've also liked you on Twitter! Thanks for entering me in the giveaway! I think I'd probably make some throw pillows for my room, I need a bit of color! This fabric is lovely. I'd make a peasant top or dress. I like Fat Quarter on Fabebook. I've liked, tweeted and shared. Thanks for having such a great blog! 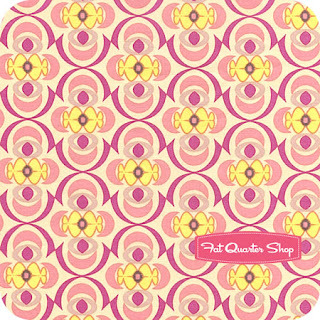 I've liked Fat Quarter Shop on Facebook! Following Fat Quarter shop on Twitter. like FQS and Adventures in Dress making on FB. I would like to make a great statement chair cover for my kitchen. I'd like to make a skirt for my little niece. Love all the bright florals! Beautiful colors and great patterns! I know I'd use the yardage for an embellished quilt. It's in chartruese, purple and fuschia...perfect! Thanks for the awesome giveaway!!! Beautiful colors! I'd make a quilt throw for my livingroom. I like Adventures in Dressmaking on FB! I think I would make a skirt, I'm really into skirts for this summer. I like Adventures in Dressmaking on facebook. I'd make a new case for my NOOK!! also, I like Adventures in Dressmaking and Fat Quarter Shop on Facebook, and follow both on twitter! I want to make a mad cool quilt, in all colours of blue and green and purple! I would love the deep pink/fuscia and think it would really pop as the interior pockets of a summer bag . . . and any leftovers would make great quilting strips I use for baby girl gifts. I've liked both AID and FQS as well as follow you both on Twitter!